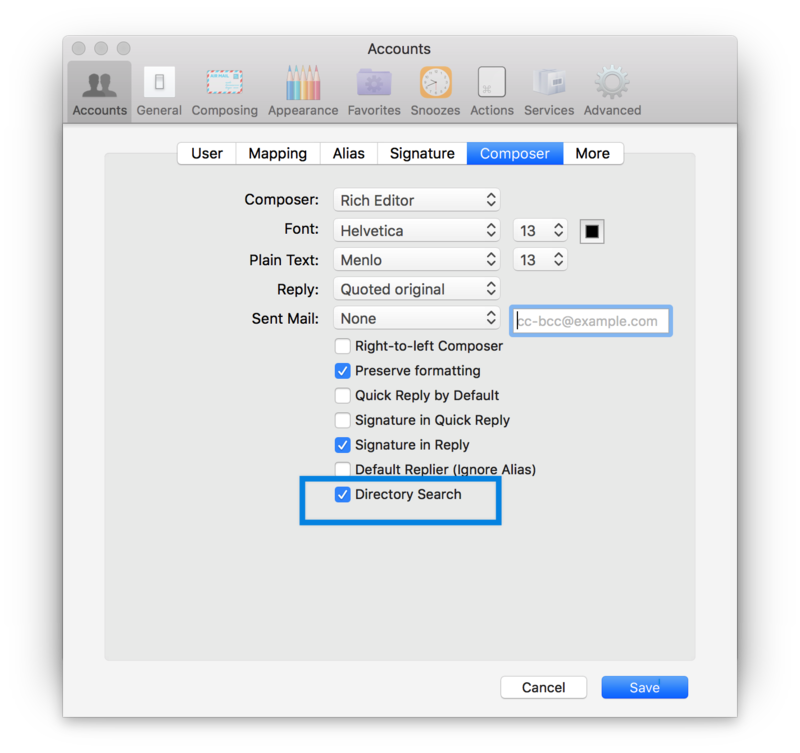 Once the Directory Search is activated, Airmail app will automatically search the Directory. Open the &apos;New Message&apos; window. 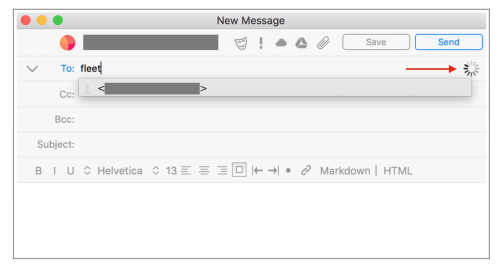 Start typing the name of the recipient in the &apos;To:&apos; field. You will notice the loading icon on the right. That indicates that &apos;Directory&apos; is being searched. Once a result is yielded, it will appear in the list. Click on the appropriate email address.